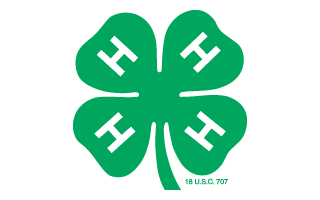 In 4-H we often strive to make everything we do “youth centered”, meaning we want the young people to drive the conversation, tasks, and goals of the club. This builds leadership skills in youth and helps them learn how to communicate effectively with each other. As a club leader, it can be challenging to figure out how to be the “guide on the side” and mentor as opposed to simply the adult in charge! Define the task clearly. Help the club members clarify or focus on what they really want to accomplish. Break down the task and assign different parts of the task to smaller teams (2-3 youth). Young people love to “own” their contributions. Try to make the groups heterogeneous. Pay particular attention to the skills that are needed for success in the task. Group the kids based on interest and perceived skill as best as you can. Within the groups, youth may be assigned specific roles, with the club leader communicating the criteria for success and the types of social skills that will be needed. Build in time for reflection. Club leaders should encourage groups to reflect on their interactions to identify potential improvements for future group work in the club meetings. Club leaders can play an active and very important role in monitoring the cooperation and collaborative skill building. One of my favorite group learning techniques is the jigsaw. Learn more about it in this YouTube video. In this approach, youth work in a team of four to become experts on one portion of new information, while other expert teams tackle other content areas. The group then rearranges to have one member from each expert team. The new team then takes turns teaching each other the material on which they are expert. Youth centered group work is well worth the effort, especially in STEM learning. 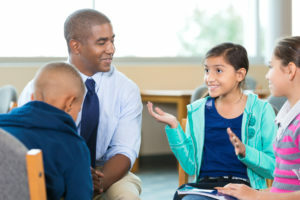 Academic study results found that students who participated in various types of small-group learning, ranging from extended formal interactions to brief informal interactions, had greater academic achievement, exhibited more favorable attitudes towards learning, and had increased persistence through STEM courses than students who did not participate in STEM small-group learning. In our next post, we will talk about using science models.